Finally, the Premier League is back! After a 3 month layoff, the EPL returned strong with a weekend that had everything we’ve been missing. Jose “Sour Grapes” Mourinho deflecting criticism on his team’s performance onto a random scapegoat (medical staff). Arsenal pulling an Arsenal, which according to the dictionary means playing a match that is more entertaining from a comedy perspective than a soccer perspective (or something). Matches that were letdowns (Manchester United v. Tottenham) and matches that were surprisingly entertaining (Leicester City v. Sunderland). With the EPL returning, the reactionary analysis and rushing to conclusions also returns. It is almost impossible to make any sweeping conclusions from the first week given the fact that there 37 weeks of the season left and the transfer window is still open, so everything must be treated with grain of salt at this point. 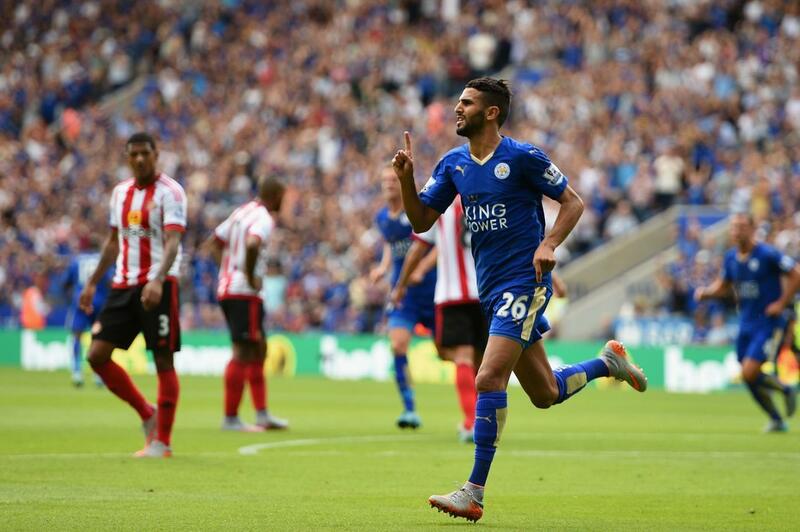 Here are some takeaways (with perspective) from the first week of the EPL. Only Arsenal could take the player who has been the best Premier League goalkeeper of the past decade and turn him into an instant joke. Petr Cech was supposed to be the signing that finally elevated Arsenal to the level of serious title contender, but instead he has started off his Arsenal career committing errors one wouldn’t expect from a keeper that has won 13 trophies over the past 11 years. Cech is obviously a great player given his pedigree, and blaming the loss on him papers over the real reasons Arsenal won’t win the title this season if they don’t make any further signings. 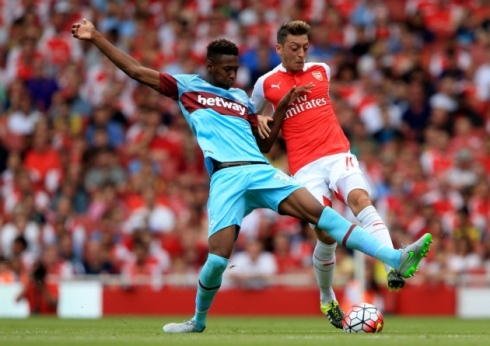 West Ham stifled Arsenal throughout the match, as their creative focal point, Mesut Ozil, was basically non-existent and easily suppressed by West Ham defensive midfielder Reece Oxford, a 16-year old making his EPL debut. If Ozil is not in form, which has occurred on numerous occasions over the past 2 seasons, Arsenal struggle to score goals as regularly due to the quality of their strikers. Giroud is a limited player, as he cannot create chances on his own and is not clinical enough to consistently finish the half-chances that are available in difficult matches. Arsenal still need a world-class striker to put them over the top, kind of what Robin Van Persie was for them before he moved to Manchester United and singlehandedly won them the title. In addition to their striker issues, Arsenal’s lack of a combative central midfielder has held the team back for several years, and while Francis Coquelin’s recent emergence appears to be the solution, they still lack depth and quality in the position. While Coquelin provides effective defensive cover, he lacks the range of passing and creative instincts to truly dominate the midfield like a Schneiderlin or Cabaye type player can. It shouldn’t be surprising that a team that only addressed one of its main weaknesses has not radically improved, and while you can’t really take too much away from one result, Arsenal still have not proven they have enough quality in the key areas to win the Premier League. Headline: most expensive team in the EPL easily beats team perpetually in the bottom half of the table. While the 3-0 victory over West Brom was not a particularly surprising result for Man City, the performances of 2 players who often struggled last season was noteworthy. Yaya Toure played an excellent match for city, scoring 2 goals and bossing the midfield with his 95% passing rate. Although Vincent Kompany was rarely threatened by the West Brom attack, he made no defensive errors and contributed to city’s goalscoring efforts with a powerful header off of a corner kick. Given West Brom’s weak performance and the relative quality between the two sides, it would be rash to anoint Man City as clear title favorites, but the result was still promising for City. Both Toure and Kompany showed the drive and commitment to their respective duties that they have become known for, but did not display consistently last season. City’s title chances are strongly dependent on Toure and Kompany staying focused and healthy (which might be tough given the injury problems they’ve faced in the past) throughout the season. These positive initial signs from Man City’s older stars combined with the potential arrival of Wolfsburg’s Kevin De Bruyne (Bundesliga player of the season last year) could catapult them to clear favorites to win the Premier League and finally allow them to make a successful run in the Champions League. The current Premier League table features West Ham United, Leicester City, and Aston Villa in the top 5, which are teams that finished 12th, 14th, and 17th respectively last season. Obviously the final table won’t look anything like this, but with the top 4 favorites (Chelsea, Manchester United, Arsenal, Liverpool, and Tottenham) delivering uninspiring performances it was refreshing too see exciting matches from the supposedly weaker sides. Leicester was the pick of the bunch with strong performances from their wingers, Mahrez and Albrighton, propelling them a commanding 4-2 over Sunderland. In other results, Swansea outplayed title holders Chelsea and deserved more than their 2-2 draw, recently promoted Watford gave a solid performance in a 2-2 draw vs. Everton, and new West Ham manager Slaven Bilic out-coached Arsene Wenger to a 2-0 win over Arsenal. This first week shows that there are few easy matches in the Premier League and that the non-title races (relegation and Europa league qualifying) will be as tight as ever. The new Premier League TV deal allows smaller English clubs to rival the spending of clubs from other European leagues and in turn create more parity in the EPL. While the smaller clubs still will not be able to consistently threaten the stronger sides to stay towards the top of the table, it at least means that the big clubs will not be able to walk to the title, and some of the more intriguing, captivating matches could come from bottom of the table matchups.